The UK’s space sector has seen significant growth in income, exports and employment with total income now standing at £14.8 billion, Science Minister Chris Skidmore announced. The report also shows that an average of 39 new companies have been added to the UK space sector every year since 2012. This is the most authoritative survey of the sector. After the previous survey showed a slowing annual growth rate to 1.6 percent in 2014/15, the new figures show an acceleration with annual rates of 2.1 percent for 2015/16 and 4.5 percent for 2016/17. Much of this growth is due to space manufacturing, including satellites, ground systems and components, which increased at a rate of 27 percent per year. The UK has significant capabilities in this area, building major parts for one in four of the world’s commercial telecommunications satellites. Beyond the direct effects of the space industry, the satellite services industry supports a wealth of other sectors worth an estimated £300 billion of UK GDP, up from £250 billion from the previous survey. Earth Observation (EO) services, such as data for monitoring land use and agriculture, is a significant growth area, supporting £92 billion of GDP and growing at a rate of 25 percent per year. Science Minister Chris Skidmore said that the space industry is a great UK success story. New innovations and pioneering experts are helping the sector to grow faster than the rest of the economy as whole. The industry is providing thousands of new high-skilled jobs and also supports a wealth of other sectors that are worth an estimated £300 billion to the UK. By investing in important infrastructure, such as the National Satellite Test Facility near Oxford, and establishing satellite launch capabilities, the UK's modern Industrial Strategy is helping the nation's space sector to thrive. Skidmore added that space is a UK export success story, generating more than a third (37 percent) of income from international trade. The UK’s ongoing membership of the European Space Agency, which is independent of the EU, generates 29 percent of these exports. France and the USA account for the largest share of exports to individual countries at 40 and 8 percent, respectively, with significant potential to grow these further and expand into more international markets. 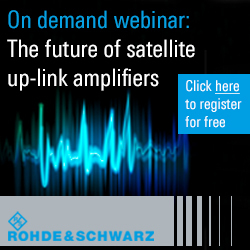 Broadcasting accounts for just over half of space industry income (51 percent), and as the sector continues to diversify, there has been strong growth in areas such as the supply of devices and equipment that use satellite data. EU Space programs, such as Galileo, account for 2.5 percent of the total income. Defence and military have seen strong growth, increasing from 2 to 8 percent of income. Defence Secretary Gavin Williamson noted that Britain is a world leader in the space industry. These figures show that the nation is developing pioneering satellite technology which will help to guarantee the UK's national security in the future and maintain a military advantage over our adversaries. This remarkable growth is good news for our military as it reflects the commitment to building the space industry here in the UK. The sector now supports over 40,000 jobs across the country, and the commitment is to expand that in the years to come. Williamson added that the UK continues to outperform the global space sector. 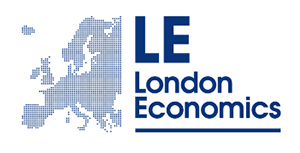 Since 2007/08, the UK has seen cumulative growth of 91 percent, as compared with world growth of 42 percent. The exchange rate is important when comparing the UK’s space income with the global space market, which is calculated in U.S. Dollars. The depreciation of Sterling against the Dollar over recent years means that the UK's current share of the global space market stands at 5.1 percent. If the exchange rates were fixed at 2006/07 levels, that would be 8.1 percent, although the current exchange rate also makes UK exports more competitive. Graham Turnock, Chief Executive of the UK Space Agency, commented that the ambition to grow the UK space sector to 10 percent of the global market continues to drive the efforts to support the industry. The latest figures show welcome progress on growth and highlight the many areas where there is significant potential to build on the successes, using the extensive skills, experience and capabilities we have across the country. There is confidence in the sector, with 73 percent of organizations expecting income growth over the next three years and 48 percent of those expecting it be more than 10 percent higher than in the previous three years. The workforce is also expected to grow, with 93 percent of organizations predicting job numbers to grow or maintain their current level. Since forming in 2013, Oxford Space Systems has raised more than £17 million to build innovative and lightweight spacecraft antennas and deployable booms which are lower cost than those currently available to commercial satellite manufacturers. In 2015, the company was selected for the UK Space Agency’s AlSat Nano mission, achieving a world-first with the longest ever retractable CubeSat boom in orbit at 1.5 meters. It currently employs around 42 staff after expanding significantly in October 2018 to its new headquarters at the Harwell Space Cluster. This week the MOD announced a £1 million investment in the development of an innovative ‘wrapped rib’ antenna by the company. Spire Global is a satellite and data analysis company that was founded in San Francisco and set up its European headquarters in Glasgow, where it has built more than 80 satellites since 2014. The company specializes in data from smallsats in LEO. In February 2018, the UK Space Agency awarded more than £4m to Spire to demonstrate cutting-edge space technology, including parallel super-computing. The UK Space Agency is also supporting a space incubation centre in Glasgow and has provided support over several years to the Scottish Centre of Excellence in Satellite Applications, based at the University of Strathclyde. Thales Alenia Space in the UK was established in 2014 with offices in Bristol, Harwell and Belfast and is a leader in propulsion systems, Earth Observation and Science mission subsystems, and next generation payloads for telecoms, military satellites and satellite constellations. Belfast is home to Thales Alenia Space’s multi-million pound Electric Propulsion Integration Centre, delivered in 2016. The site recently delivered the first all-electric propulsion module designed and built in the UK, the Spacebus Neo Xenon Propulsion System (XPS). The company’s space-related jobs in the UK have grown from 10 in 2014 to 200 in 2018 based across Belfast, Bristol and Harwell. That total is estimated to grow to 350 by 2020. 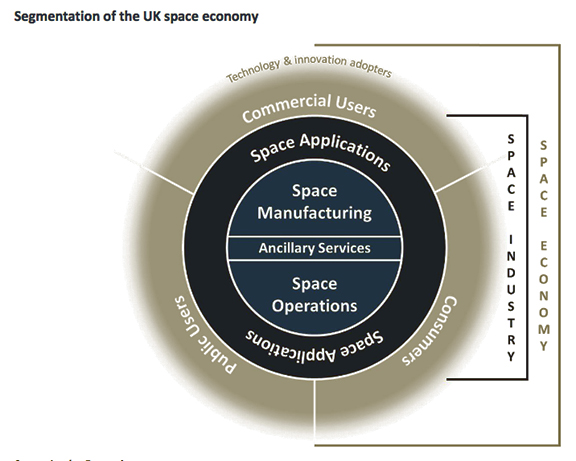 Download the UK Space Industry 2018 report at this direct link... — the report was prepared for the UK Space Agency by London Economics.